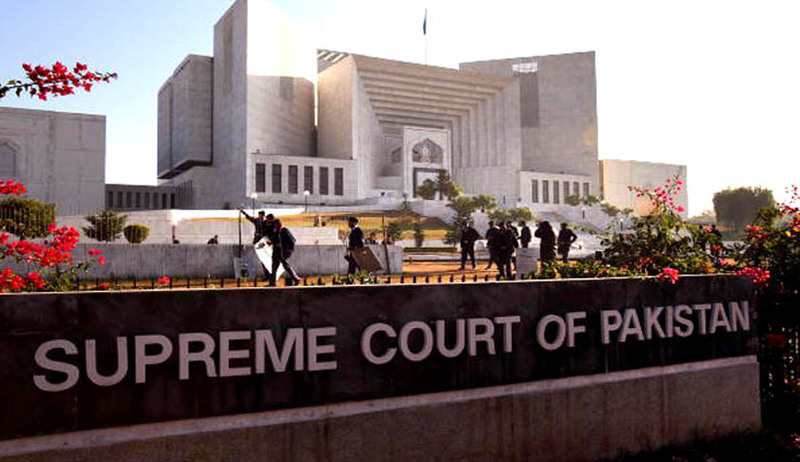 Dismissing petitions of alleged violations of the constitution, the Five Judge Bench of Pakistan Supreme Court upheld death sentences of 16 accused persons convicted under terror related charges by the Military Court. The Bench ruled that the appellants failed to prove miscarriage of justice on account of procedural and constitutional abuse. The petitioners raised allegations of denial of rights of an accused conferred by the constitution. They contended that the trial was carried out in secret and the confessions were recorded illegally. With no access to lawyers of their choice and military records for planning their appeal, they were ripped off, of any opportunity to strengthen their case. Two families and one of the lawyers told Reuters that they were threatened after filing the petition. They have even raised allegations of confessions being ‘coerced’. The five member bench however, dismissed such appeals and held that the military courts had followed all he procedures and appellants could not rightfully prove any breach. As per the Pakistan Military, among the 16 convicts, 9 were members of Tehreek-e-Taliban, two were from Al-Qaeda and two are said to be involved in Peshawar killings, reported Reuters. In the wake of the gruesome Peshawar school massacre killing of 134 students and 19 adults, nine Military Courts have since been established with an expanded field. The Courts are conferred jurisdiction over civilians as well, in case of terror related offences. As per a report in the Jurist, experts contend that this has accorded too much scope to military courts in a country where there have been widespread allegations of torture under the reigns of previous military courts. However, rocked by increased unrest and terror activities, many Pakistanis are in favour of the latest regulation. Around 104 civilians have since been convicted by the military tribunals. 100 out of those are on death row and 4 sentenced to life. As per Reuters, only six, out of them have been confirmed by the military to have confessed. Pakistan partially lifted its 6 year moratorium from Death penalty in December 2014. In March last year, however, Pakistan Ministry of Interior permitted hanging of all prisoners who have ‘exhausted all possible appeals’. With the world treading towards a complete riddance from capital punishment, Pakistan’s repeated use of death penalty has faced severe criticism. This 182-page judgement which although concluded that the appellants failed to prove any wrongful omissions or commissions by the Military Courts, is first such deliberation on a military court verdict and thus sets a precedent in the right direction.